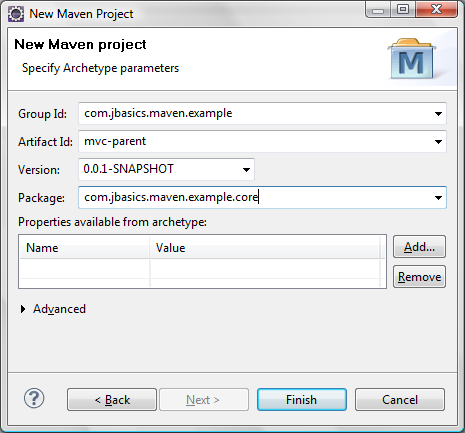 Click on Next; enter group id, artifact id, version and package; click Finish. 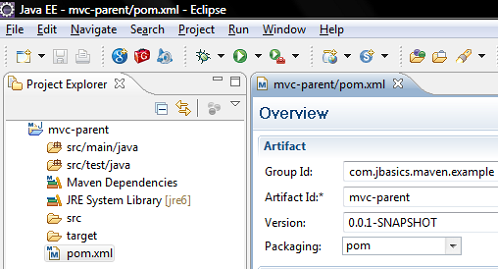 Now as we want to create modules inside this project, we need to change the packaging to pom. 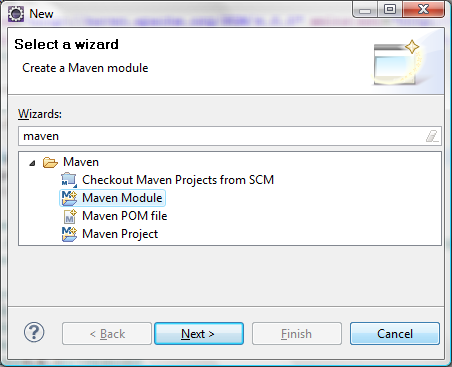 Refer screenshot. 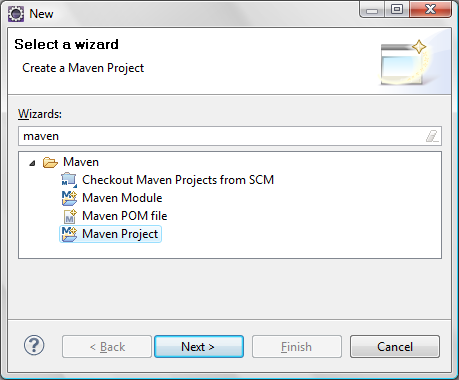 Create a new maven module. 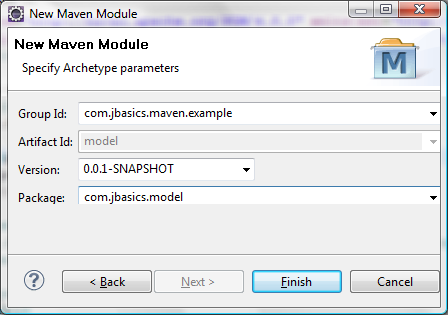 Click on Next; enter package name and click Finish.